When world leaders came together in June 1945 to establish the United Nations, they pledged us all to a common purpose: to ‘save succeeding generations from the scourge of war’. Over the seven decades that have followed, as global dynamics, weapons of war, and threats to peace and security have evolved, the United Nations has grappled with how best to achieve its founding Charter’s pledge. Around fifty years in, during the mid-1990s, the United Nations began to adopt a series of resolutions on the ‘culture of peace’, which promoted an interdisciplinary approach to achieving lasting peace. Many of ‘culture of peace’ foundational resolutions recognized the fundamental link between peace, development and human rights, and spelt out how education, science and communication could be used to promote democracy, dialogue, reconciliation and solidarity. Indeed, when the Programme of Action on a Culture of Peace was adopted in 1999, this articulation went further still, with detailed provisions setting out how actions taken through education; economic and social development; human rights; gender equality; democratic participation; understanding and tolerance; the free flow of information; and international peace and security, could serve to build a culture of peace. 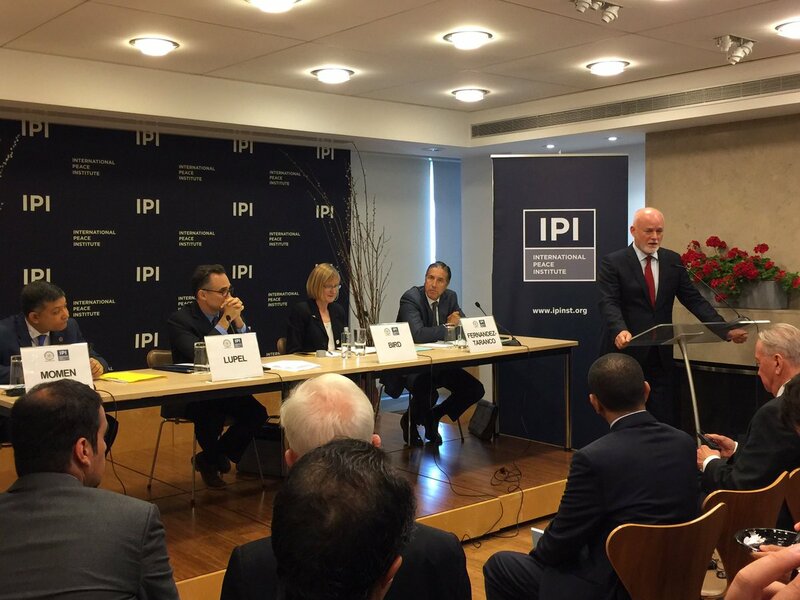 While these agreements point to a long-standing recognition within the international community that building sustainable peace requires comprehensive approaches that bridge peace and security, human rights, and sustainable development, it has only been in recent times that a concerted effort has been made to embed this mindset and operational approach into the work of the United Nations. In April last year, faced with an increasingly complex global security environment, and a history of mixed success in United Nations’ peace and security engagements, the General Assembly and the Security Council decided to advance a new approach to peace. In a welcome demonstration of bi-cameral cooperation, both chambers adopted the ‘sustaining peace’ resolutions, thereby committing to a comprehensive, new approach to the maintenance of international peace and security. Of course, these resolutions were not agreed in a vacuum. Just seven months earlier, world leaders had adopted the 2030 Agenda for Sustainable Development, setting forth a universal masterplan for peace, planet and prosperity. Central to the 2030 Agenda was the fundamental recognition of the importance of peaceful, just and inclusive societies in the creation of an enabling environment for sustainable development. Similarly, central to the sustaining peace resolutions was the recognition of peace as both an enabler and an outcome of sustainable development. As global attention increasingly shifts to implementing the 2030 Agenda, and with sustainable development and sustaining peace essentially serving as two agendas that stand or fall together, it is clear we must do all we can to create an environment for their success. This includes by cultivating a culture of peace in support of our implementation efforts. In many ways, this message was the defining one to emerge during the High-level SDG Action Event that I convened in January this year on “Building Sustainable Peace for All”. During the event, speakers affirmed that there can be no sustainable development without sustaining peace, and that there can be no sustaining of peace without sustainable development. And they highlighted the importance of inclusivity to these efforts – of building social cohesion including through inter-faith dialogue; of capturing the vital contributions of women, youth and minorities in peace and development process; and of ensuring that no one is left behind. The international community has never before faced a direct challenge as big as implementing the 2030 Agenda, the Paris Agreement on Climate Change, and the sustaining peace resolutions. We can meet this challenge, we have the resources and we have the ingenuity to do so. But we take it on with one hand tied behind our back, if we fail to give sufficient attention to simultaneously building a culture of peace across our world. These are the tasks at hand: promoting understanding of our common humanity; strengthening intercultural and interreligious dialogue and understanding; teaching the values of equality, tolerance and respect; and inspiring people’s hopes for a future in which we all unite for peace. It is thus that we must prioritize building a culture of peace as part of an integrated approach to promoting peace, sustainable development, and human rights across the world.